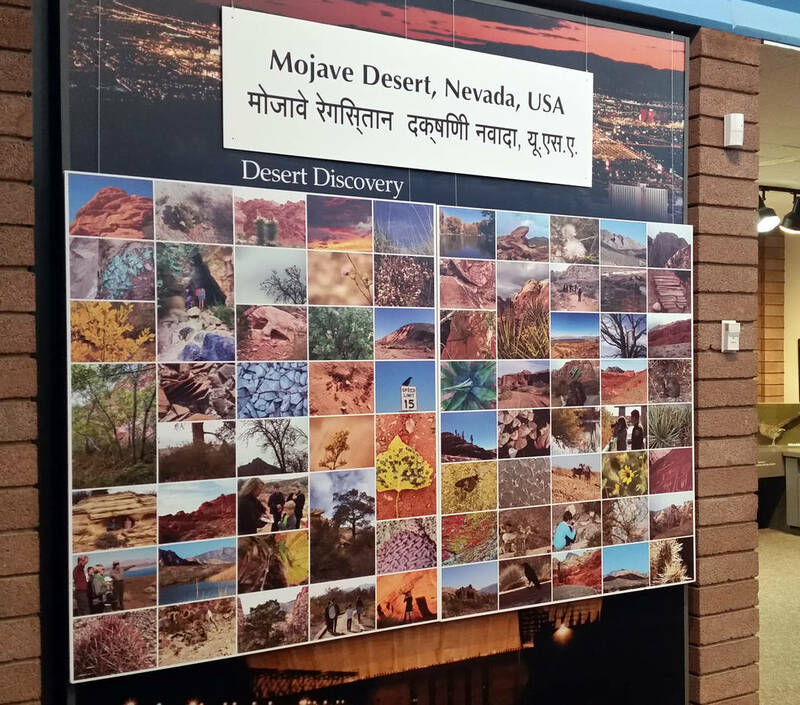 The opportunity to see Nevada’s similarities to the other side of the world can be experienced at the “Two Deserts, One Sky” art exhibit at the Alan Bible Visitor Center at Lake Mead National Recreation Area. Celia Shortt Goodyear/Boulder City Review The "Two Deserts, One Sky" exhibit is on display at the Alan Bible Visitor Center at Lake Mead National Recreation Area through May 31. The exhibit is a collaboration between students in India and Southern Nevada. 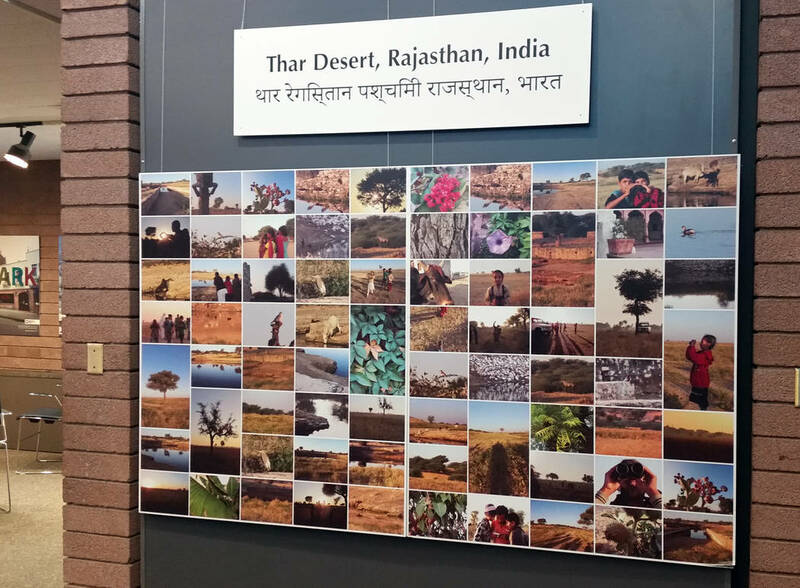 The exhibit showcases a collaboration between elementary school-age students in Nevada and India, who documented through photographs the Thar Desert in India and the Mohave Desert in Southern Nevada. Artist, photographer and wildlife biologist Sharon K. Schafer, who used to live in Boulder City, came up with the idea for the collaboration when she was involved with a project to photograph the wildlife in the Thar Desert and educate visitors and residents about it. In the fall of 2016, Schafer asked a leader at the Shri Jasnath Asan ashram if it was possible to have students in Rajasthan work with students in Southern Nevada and document the two deserts in order to promote global environmental education through fine art, photography and science. He was all for it, and the collaboration began. Schafer kept it small, with eight students in Southern Nevada and 12 students in India. They were all between the ages of 8 and 12. To connect the kids to their deserts, each group went on at least one hike. The students in Nevada hiked at Lake Mead and Red Rock Canyon National Conservation Area. In India, the students went on one field trip to the Thar Desert. “We have more similarities than differences,” Schafer said of the two areas. “They have the same problems with water and livestock and the land being destroyed. Their water table is dropping faster than ours. During their trips, the students took pictures of the desert to document the natural history of their regions. The photographs were then transformed into two murals, each featuring 120 pictures of the students’ desert. 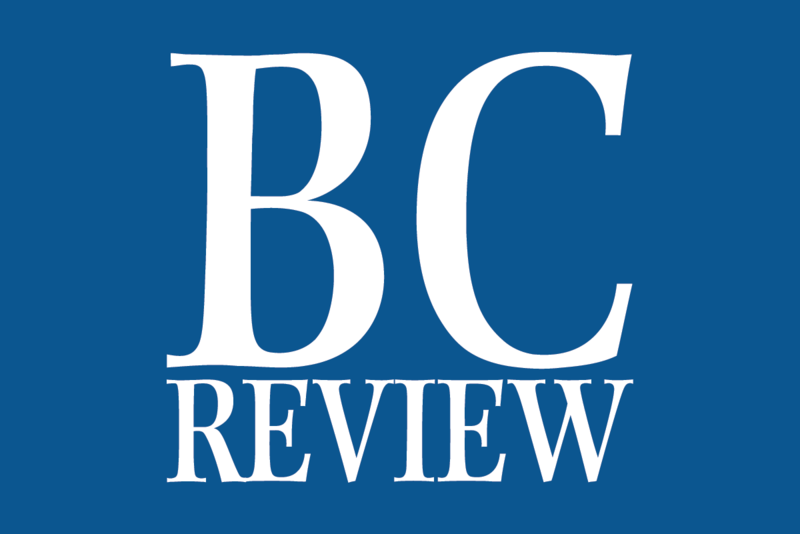 Because of the success of this collaboration, Schafer plans to continue it next year and is working on a curriculum for it. Schafer will be discussing her work in India during a special program at the visitor center at 1 p.m. Sunday. “Two Deserts, One Sky” will remain at Lake Mead through May 31. The visitor center is open daily from 9 a.m. to 4:30 p.m.